Located in a local shopping centre car park in Maghera on July 6th 2011 watching the second of four funnel clouds which formed in this area within less than an hour. 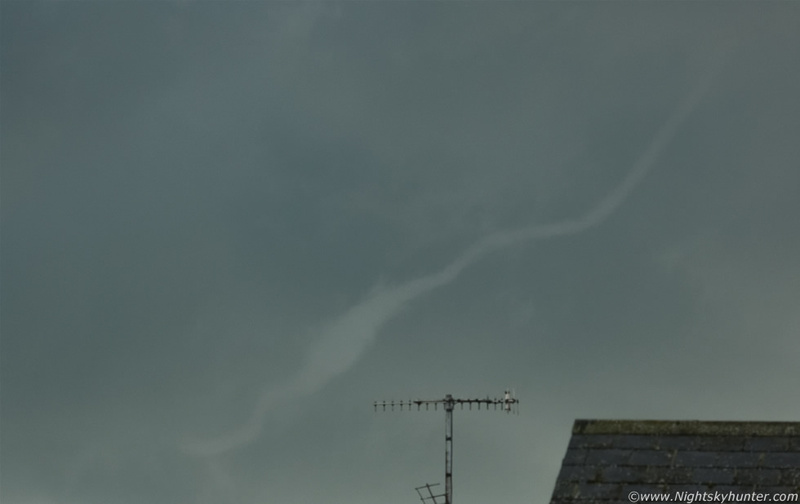 This was a beautiful rope funnel cloud which took me completely by surprise as it twisted like a snake over the roof tops of the town, this is a crop from a wide image but was no less amazing to watch through the camera's viewfinder, read the report for more information. * All images are available for sale in the form of photo prints, canvas or digital files for licensing, if you are interested in a purchase simply drop me an email.